Grouting can mean a variety of things, but the technique Kaufman is familiar with involves cement grouting, also known as slurry grouting or high mobility grouting, is a grouting technique that fills pores in granular soil or voids in rock or soil, with flowable particulate grouts. Depending on the application, Portland cement or microfine cement is injected under pressure at strategic locations either through single port or multiple port pipes. The grout particle size and soil/rock void size must be properly matched to permit the cement grout to enter the pores or voids. The grouted mass has an increased strength and stiffness, and reduced permeability. The technique has been used to reduce water flow through rock formations beneath dams and to cement granular soils to underpin foundations or provide excavation support. 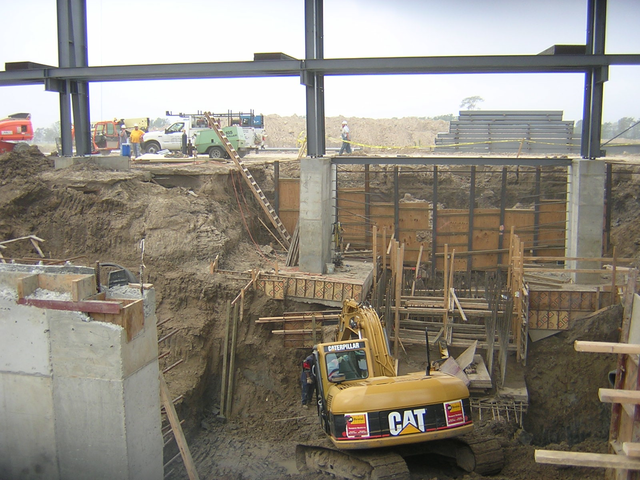 For underpinning applications, it may offer an economic advantage over conventional approaches such as removal and replacement, or piling, and can be accomplished where access is difficult and space is limited. Since the effectiveness is independent of structural connections, the technique is readily adaptable to existing foundations. Usually, it can be accomplished without disrupting normal facility operations. Alph Kaufman has decades of civil service experience. Contact us today for an evaluation!